Her pain was mostly in the Lumbar (L1 to L 2) area in the center of her low back. I started her treatment with Gua Sha on her entire mid-back and low-back area. TIP: Make sure to begin with the mid-back, even if the person has no pain there. Often areas above the pain will have very tight muscles and a lot of Sha (petechiae) is released. Next I worked all the way down into the sacrum. Gua Sha has the amazing added feature of showing me where the issues are because it only releases the red “Sha,” in the problem areas. I also make sure to extend the Gua Sha around the sides (lattisimus dorsi, quadratus lumborum, and external obliques). TIP: Many centralized low backaches are actually coming from the quadratus lumborum area. So doing Gua Sha on the sides is essential. Next, I apply cups to the areas with the most visible Sha. April needed cups in the lower mid-back as well as the lower back. Surprisingly (and not surprisingly because it’s often the case) more Sha came out above her area of pain. When she was done with this session, she felt great and reported the next day that she was completely better. 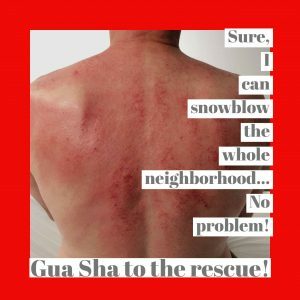 If you have clients who like to overdo it during the Winter months, Gua Sha and Cupping can save the day! 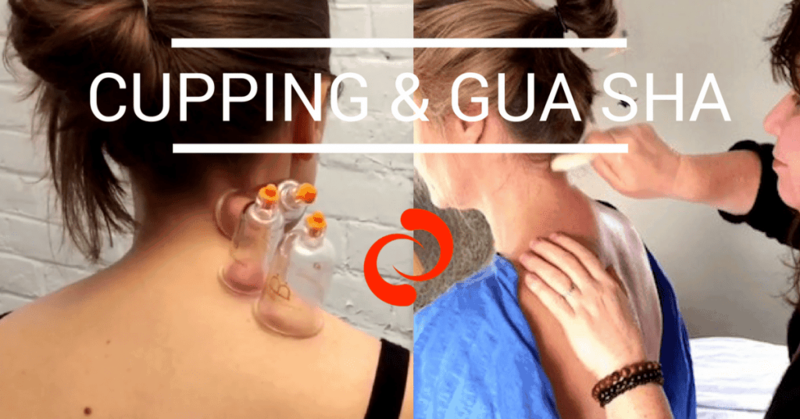 If you don’t use Gua Sha and Cupping on your family and friends or in your practice YET, you can learn it online with our Learn Cupping and Learn Gua Sha courses. 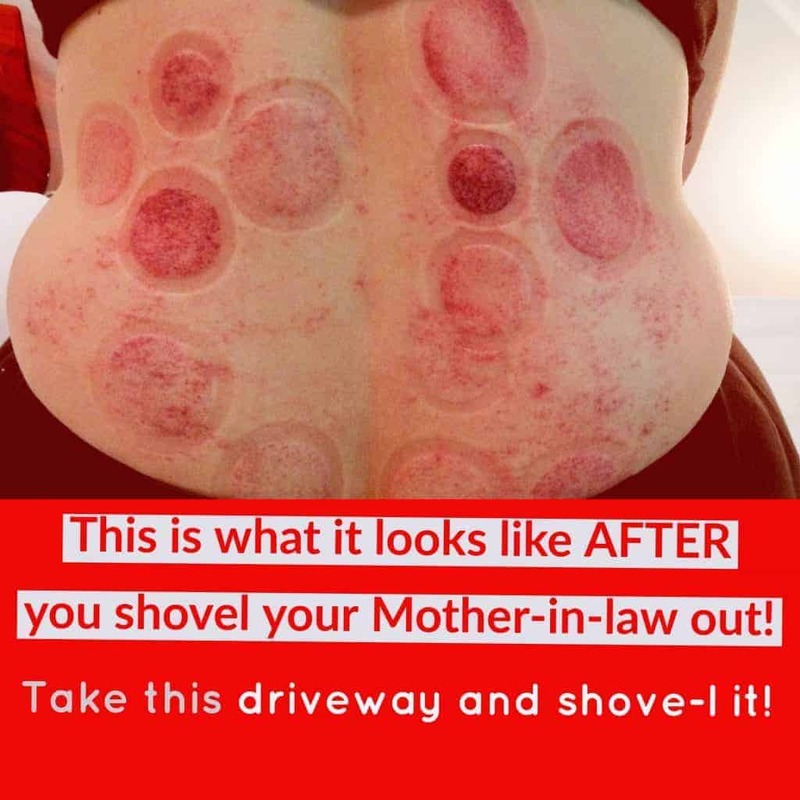 Click the big Yellow Button for more info or if you know someone who might like to know more about Cupping or Gua Sha–please forward this on to them!